Since my first FOSDEM, one of the most prominent features of the biggest F/LOSS European conference for me has been the GNOME stand. At my first FOSDEM it was in the packed building H, nowadays it’s moved to the not-quite-as-badly-packed building K. I started off as an attendee, then eventually got into merchandise printing and handling the GNOME events box as I was helping out with other events anyway. So what’s involved in organising the stand? Firstly, we need to request the space. This has been handled by Bastian Ilso over the last few years. He makes sure to get the request in before the deadline, which is usually some time in October/November. Around November/December, I look for design ideas and discussing the merchandise with others who have shown an interest in helping out. Over the last few years we’ve had hoodies, zip-up hoodies, socks and t-shirts. T-shirts usually get a new design every year. In recent years, we’ve had some variations on the GNOME foot for the t-shirts and various coloured hoodies. Finding ideas for new designs can be hard at times – so if you’d like to propose some mockups for future years, please feel free to drop me an email. I estimate quantities and colours based on previous experience but sometimes that doesn’t work. For example, this year we barely sold any L-sized straight cut t-shirts whereas they’re normally the most popular. Socks always go down well. Then there is also the promotional material: stickers, leaflets and so on. Leaflets are more difficult as the content and the styling both need designing, then someone needs to print them and bring them over. We have done leaflets in the past, but they quickly became outdated. Stickers are easier. GNOME uses Sticker Mule who produce high quality stickers. I stuck one to my suitcase to mark it so it wouldn’t get lost at FOSDEM and haven’t managed to pull it off yet. We used to have cheaper stickers at the stand, but many people prefer to put something that’ll last on their laptop and it’s better “advertising” for the project. GNOME foot stickers are by far the most popular, with the application icon stickers having a much more niche audience. Some time in January, we set up a signup sheet for volunteers. This helps us ensure that we always have a “responsible” person for the stand and get an idea for who wants to help out. There are usually 3 large suit cases and 1 box to transport. All of them are quite heavy so volunteers are needed. Ideally there should be exactly 3 people behind the stand and 1-2 people up front. With more people, there’s actually not enough room to fit everyone. One person usually has the responsibility of managing the cash box and minding the hardware, while the other two focus on providing information, giving away stickers and raising funds. Once again, we have a donations piggy bank. The last one, an adorable snail, was broken a few years ago when it decided to make a bid for freedom. My favourite organising addition was a lightweight shelving unit which we used to sort the merchandise by size and type. It takes up half a suitcase, but I could tell what t-shirts we had in stock for each size just by looking over my shoulder – definitely much less digging through boxes going on! My favourite hardware additions are the brand new XPS15 2-in-1 and the Nextstand 2K (laptop stand for travel). GNOME looks beautiful on this hardware, it’s definitely a much better way to show off what it can do than the old desktop and external monitor which were retired at the nd of last year. There’s also a lot more room in the events box now. In addition to removing the external monitor, we were also able to ditch the mouse and keyboard, as well as cut down on cables. But the best thing yet? We were able to proactively promote GUADEC 2019! Caroline designed some t-shirts for us with the dates and location which we will be sending to all the remaining booths between now and GUADEC. They’re quite large, a little reminiscent of small tents, but that’s mostly so that they can fit comfortably over a hoodie. Brussels is cold in February. That’s all for now folks. 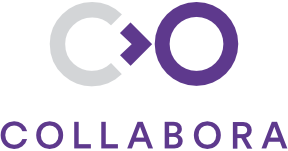 Big thanks to Collabora for making it possible for me to attend FOSDEM over the last few years. This entry was posted in Uncategorized and tagged engagement, fosdem, gnome, merchandise, volunteering on 2019-02-08 by kittykat. I’m planning to do a day trip to go scuba diving at GUADEC this year. If you’d like to join me, drop me an email or find me on IRC. There’s a few of us interested in going, so the more, the better! This is not an official GUADEC event. For the official schedule, see this page on the website. By the way the page for finding room buddies at Residencia Civitas for GUADEC is now up on the wiki. You should go book your accommodation! This entry was posted in Uncategorized and tagged diving, gnome, guadec on 2018-05-29 by kittykat. Submit your talk for GUADEC! GUADEC 2018 is taking place in Almerîa, Spain this year and now is the time to submit your proposals! The submission deadline for talk submissions is tomorrow, on the 29th April. You are welcome to submit presentations, discussion panels or propose some other format for your talk. This year, there will be short and long talk slots available. Short slots are around 25 minutes long, longer slots are 40 minutes. Lightning talks will be available for signup on the day! This entry was posted in Uncategorized and tagged gnome, guadec on 2018-04-28 by kittykat. GUADEC is almost upon us! With just over a week to go, it’s time to register and check out the schedule. If you want to blog about GUADEC and tell everyone that you’re going or speaking there, you can find the badges (and the slide templates) on the website. There will be slots for unscheduled talks and discussion panels during the core days. You will have an opportunity to propose a topic in the morning which other attendees can +1 if they are interested in it. At 16:00 on Friday, 13:30 on Saturday and 16:00 on Sunday, the most popular talks will be posted to the schedule board, so make sure to check back regularly! Lightning talks will take place on Sunday the 14th of August, you will be able to sign up on the day! 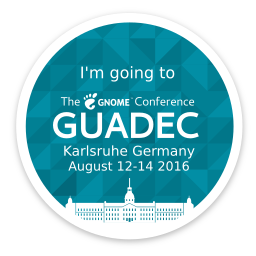 This entry was posted in Uncategorized and tagged gnome, guadec on 2016-08-02 by kittykat. 2015 saw the return of training sessions at GNOME.Asia. Apart from the documentation and development training sessions, Andika Triwidada from the Indonesian localisation team and Alexandre Franke also spoke about translations. This year, a larger number of contributors with experience in different areas of GNOME attended the training day so we were able to offer more instructors per trainee as well as training in more areas, including marketing. From a documentation point of view, this felt more successful and less stressful than 2014 as we were able to offer more support to attendees. Rather than re-run the documentation talk like I did last year, this year I presented about contributing to GNOME. As usual, the question of “where do I start?” came up a few times so I think it was productive to emphasise that coding is not the only way to contribute to and promote GNOME. After the conference, Dave and I visited Bogor, a lovely, green city which contrasted quite drastically with Depok and Jakarta. Taufan Lubis and his family were kind enough to host us for the visit, and to show us around the area. Thank you to the GNOME Foundation for the travel and accommodation sponsorship, to Collabora for the time to attend the conference and to the local team for making such a great event happen. This entry was posted in Uncategorized and tagged documentation, gnome, gnome.asia, summit, training on 2015-07-19 by kittykat. Submit proposals for GSoC 2015! The time has come for round 11 of GSoC! 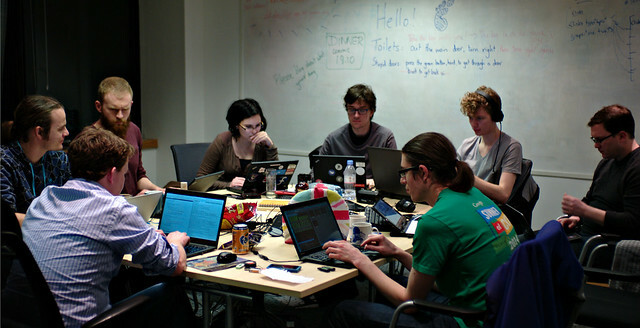 If you are interested in mentoring an intern, then now is the time to act: add your project ideas to the untriaged ideas list on the GNOME wiki by 2014-02-19. If you’re unsure about mentoring, it’s worth having a browse through the information for mentors or get in touch with the GNOME GSoC admins in #soc on irc.gnome.org. If you are a student who wants to take on one of the GNOME project, now is the time to get in touch with the project that you are interested in and help come up with an idea that you want to work on. This entry was posted in Uncategorized and tagged gnome, gsoc on 2015-02-15 by kittykat. I worked on merging new games documentation which was written by Rashi Aswani and fixing some of our 100-odd bugs against application help which Petr Kovar has continued triaging. Jim Campbell started refactoring Files (nautilus) desktop help as the style of the pages was a bit outdated. It now looks awesome. In the mean time, Jana Švárová continued powering through the feedback. gedit documentation saw some licensing improvements thanks to Jim. A number of the help pages had previously been published without a license which is something that the team has been fixing over the last few years. Adding the license after the pages have been written is a bit of an arduous task. Progress has been slow but steady. Bastian Ilsø and David King made further progress on gnome-devel-docs. Bastian made improvements to the first user experience of writing an application using the platform demos and learnt the importance of validating the XML. Around August 2014, the documentation team started accepting emailed feedback about the documentation from help.gnome.org. It has been quite a success and yelp will see this feature as soon as Shaun McCance can build it. 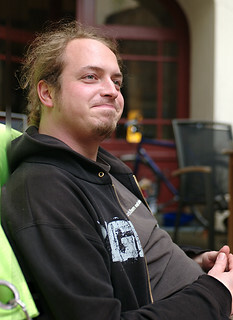 Shaun also improved projectmallard.org, the home of Mallard, and furthered the development of DuckType, a markdown Mallard language. We finished the day with lovely cream tea, which caused a number of altercations due to cultural and regional conflicts. This entry was posted in Uncategorized and tagged developer, documentation, gnome, hackfest, help on 2015-01-28 by kittykat. We had a grand total of 59 sponsorship applications for GUADEC (up 5 on 2013) and a budget of €30,000 (approximately $43,000). The requests amounted to $63,799 which we calculated would be more realistic at $61,899 after verifying travel and accommodation costs. We were able to offer sponsorships to the amount of $39295 to 58 applicants. We helped find an alternative source of sponsorship for the applicant who was not offered sponsorship. The applicants consisted of 32 Foundation members, 11 speakers, 24 GSoC students, 2 OPW interns and 1 journalist. The first application was received on the 12th of May (thank you for being organised) and seven applications were late (one of which was over a month late). Some people who couldn’t make it to GUADEC did not tell us so beforehand. Unfortunately, the lack of communication has cost the Foundation a little bit of money as we did not have a chance to cancel the rooms which has been booked for those people. At a time when the sponsorship budget is very tight, this could have been handled with more consideration. 9 people sent in their receipts past the deadline. A fair few people used the plain text application form when sending in their sponsorship requests, which I find easier to process than the LibreOffice form as I don’t need to open it in another application. In somewhat related news, the Travel Committee is now verifying considerably more stringently that the sponsored attendees for all events fulfil their duties. 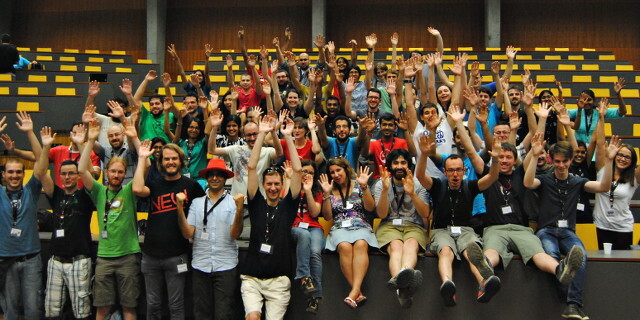 This entry was posted in Uncategorized and tagged gnome, guadec, travelcommittee on 2014-10-04 by kittykat.